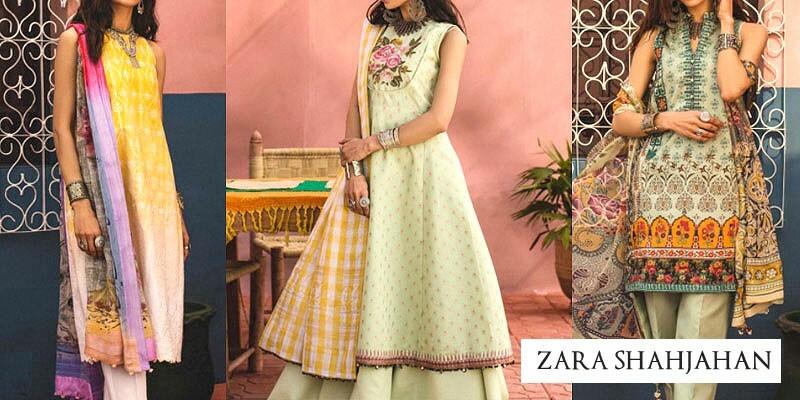 Maria B Lawn 2019 with Price from Maria B Summer Collection 2019 Online Shopping Store. Oh no! currently active products from Maria B doesn't exists, please browse products from other brands! Maria.B is a brand founded by maria bilal in 1999 in Lahore and become a largest manufacturers with several retailer shop in Pakistan and around the world. Maria B is known as Coco Channel of Pakistan with her exquisite, luxurious collections, alluring everyone to try her brand out. In 1997 she won an international fashion competition held in Belgium. After graduating from PSFD (Pakistan school of fashion design) she launched her luxury and exquisite brand name Maria B. Brand manufacture clothes for kids, teens and mature womens. A leading luxury brand ranges includes pret collection, luxury bridal collection, fancy un-stitched, bridal collection, luxury chiffon, ready to wear collection, embroidered luxury pret, and seasonal clothing line such as lawn, linen, and khadar fabric. With 25 different outlets in the main cities of Pakistan, Maria B is renowned for her beautifully divine bridal collections and a few years ago she launched her casual, plus formal wear attires, which instantly became a big hit. Maria b started a business with single outlet and small stitching unit and become diverse fashion brand with over 25 outlets across Pakistan and also own store in India, United Kingdom, United States, Bangladesh, United Arab emirates and Qatar. Maria B running e-commerce site to order online and offer free delivery over 2500 rupees. The designer ships to international destinations like India, UK, USA, UAE, etc. and also has a wide range of traditional outfits for children. The ready to wear collection by Maria.B is available in an array of formals and casuals, keeping in mind the liking for traditional wear with a hint of western touch. 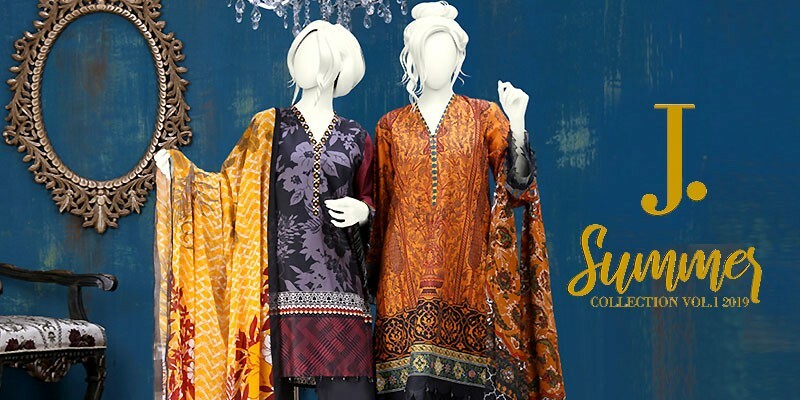 The casual wear consists of Maria B Lawn Collection with chiffon dupattas and cotton shalwars in a variety of colors, mainly revolving around earthy tones, whites, blacks, some pastels, etc. The variety features both printed lawn collection and embroidered dresses with long shirts, short shirts, flares, frocks, net fabric patches, plus A-line silhouette included. PakStyle.pk is a growing online fashion boutique that provides list of latest Maria B Lawn 2019 with Price from Maria B Summer Collection 2019 Online Shopping Store in Pakistan. The company offers latest Maria B Lawn 2019 at affordable prices from reputable online retailers with Free Home Delivery in Pakistan. 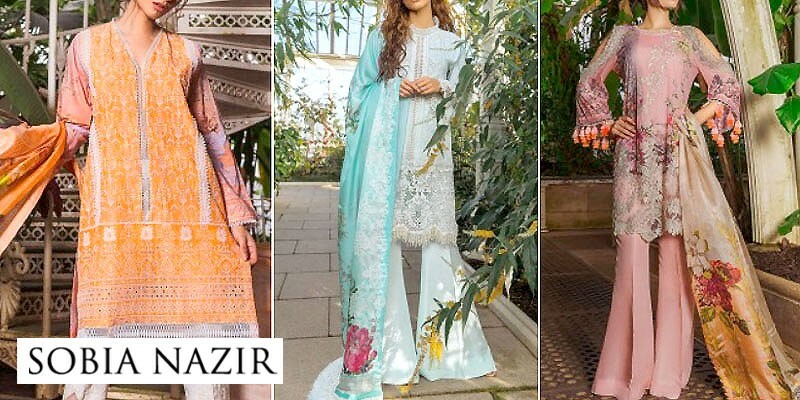 Maria B Lawn 2019 has become a trendsetting lawn collection 2019 in a very short period of time due to its versatility, innovating designing ideas and creative techniques. 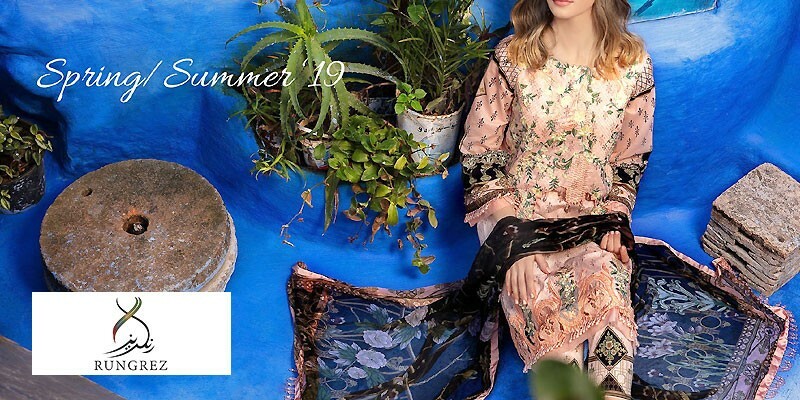 Get Maria B Lawn 2019 with Price from Maria B Summer Collection 2019 Online Shopping Store in Pakistan. If you are looking for eye-catching and appealing Maria B Lawn Design 2019, Maria B Lawn 2019, Maria B Lawn 2018 or Maria B Lawn 2017 Collection Online in Pakistan including all major cities such as Karachi, Lahore, Islamabad, Rawalpindi, Faislabad, Sialkot, Pesahwer, Quetta, Multan and many more cities. Just visit PakStyle.pk and explore Maria B Lawn 2019 with price online.